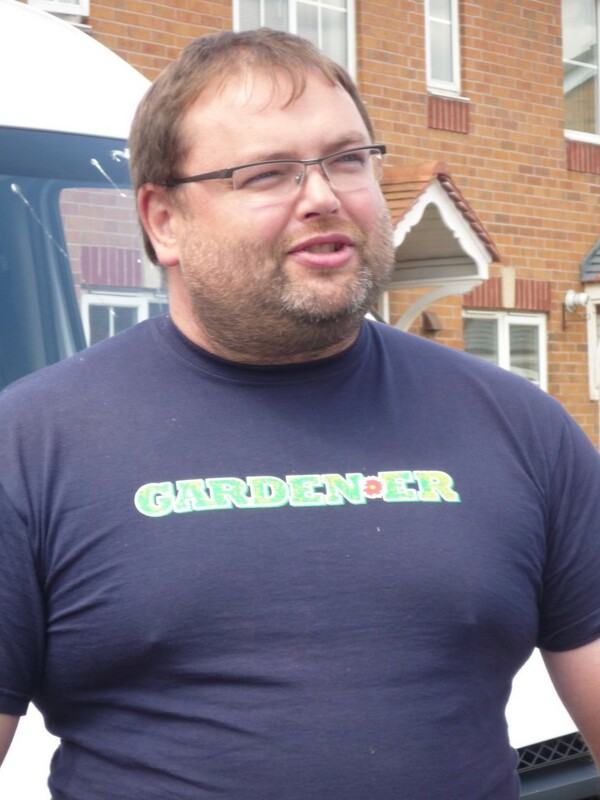 As you have all probably seen that Anglian Home Improvements is working along side new Channel 5 programme, Garden ER, so Bryony (my colleague) and I took a visit to a build to see what happens behind the scenes and meet the team. We left early Friday morning to go to Nottingham to see how David Domoney and the team were going to ‘Pimp a Shed’, and despite the long journey, we were awake and excited to watch the magic unfold before our eyes. On arrival we were not disappointed as the shed had already begun its transformation! I can’t say too much about it as it would give away the surprise, but from what we saw it was a quality make over, one to be proud of! When we made our way through to the back garden, there were a few boxes opened which contained an array of goodies that would help make the shed look amazing. 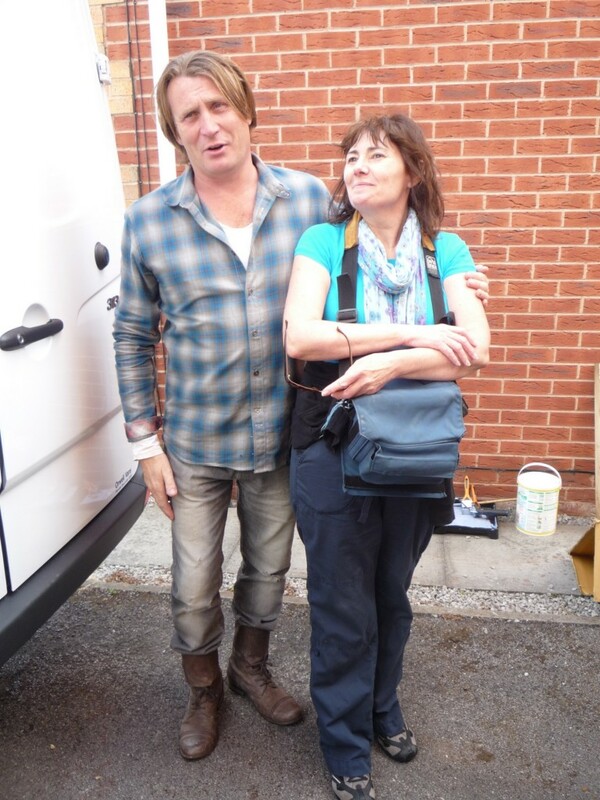 We were then introduced to the team working on the shed, David Domoney (obviously), Mel (Researcher), Marcia (Stylist), Lynda (Director), AJ (Handy man), Sam (Sound guy), Rob (Camera man), Tony (Builder) and Karl Harrison (Decking Expert) who were all very pleasant to talk to, and very professional. After we were introduced to everyone, we were informed that we need to be quiet if we are discussing the makeover as the gentleman who owned the property, was upstairs in his room! I didn’t think that when they made these types of programmes, the residents would be present until the final revealing, but as this was only a ‘Pimp my Shed’ it was easy to be discrete. 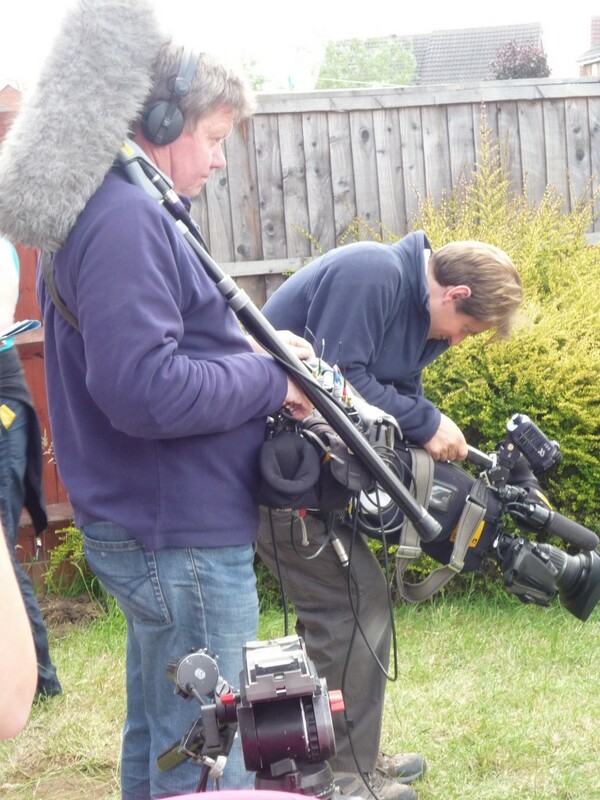 We were both amazed at how few people there were, after seeing other makeover programmes which appear to have hundreds of people helping on set, this was a relatively small team. Although it was a small team, they worked quickly and efficiently throughout the whole day, all helping each other and keeping the spirit high with each personality bouncing off another. Despite the forecast of rain we were quite lucky to stay dry all day, even with the dark clouds looming. Despite the chilly wind, the team worked hard to build the furniture and set up all the props to create a very individual shed for the lucky recipient. The filming happened on and off during the day and with no apparent script it looked a recipe for disaster, but the professionalism and knowledge of David Domoney and the team, got them through it with very few errors. If any mistakes occurred then the director (Lynda) picked it up straight away, she knows how she wants this programme to look and she knows how to get it! I never realised how much of these pr0grammes are actually recorded, every time someone is building something, painting a wall, sipping a cuppa, literally anything the camera was rolling. It was a little like Big Brother, so I tried to dodge the camera at all costs. The show itself is fun, vibrant, quirky and with David’s experience, enthusiasm and eccentric methods the show is bound to be a success. Being a bit of a ghost in the background, Bryony and I got some out-takes, insider pictures, funny mishaps, and individual interviews to share with everyone soon, to give you an insight into what really happens behind the scenes. Make sure you keep up to date and visit often to see what’s happening with this brilliant new programme. 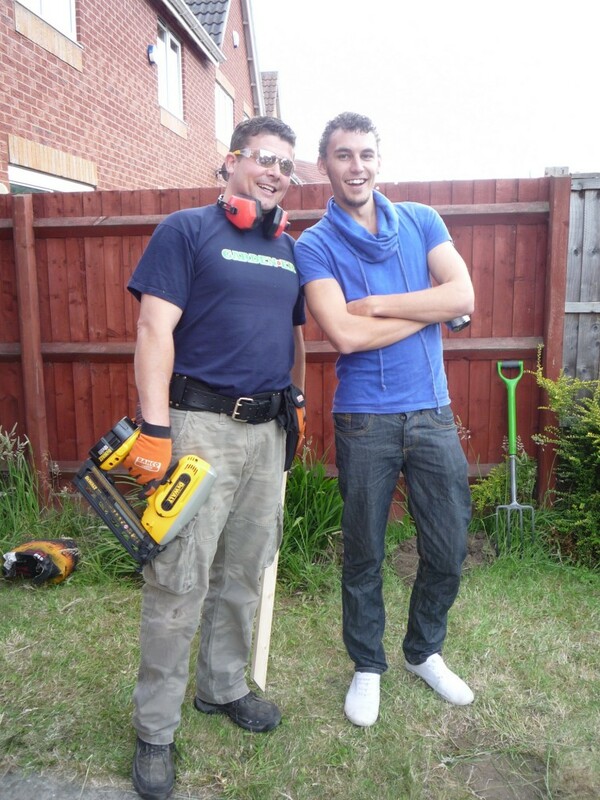 Make sure you watch Garden ER Wednesday 13th at 7.30pm on Channel 5, going to be an exciting show! 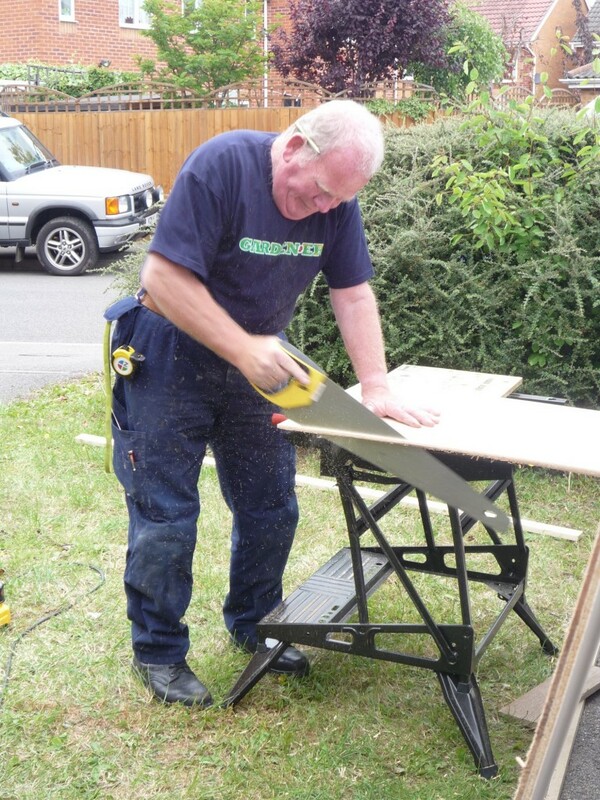 Anglian Home Improvements raising the standard since 1966. Visit the Anglian website for information on our new Orangeries.